You know what I love about spring? Those little buds just starting to appear on the trees. The daffodils poking their heads up out of the ground to say hello. and all of that fresh out in the world after all the winter rain. I am excited to be joining several blog friends sharing a sprinkle of spring today- and if you are stopping by from Randi Garrett today- welcome! with a big cup of strong coffee and avocado toast. I am keeping it fresh and simple. 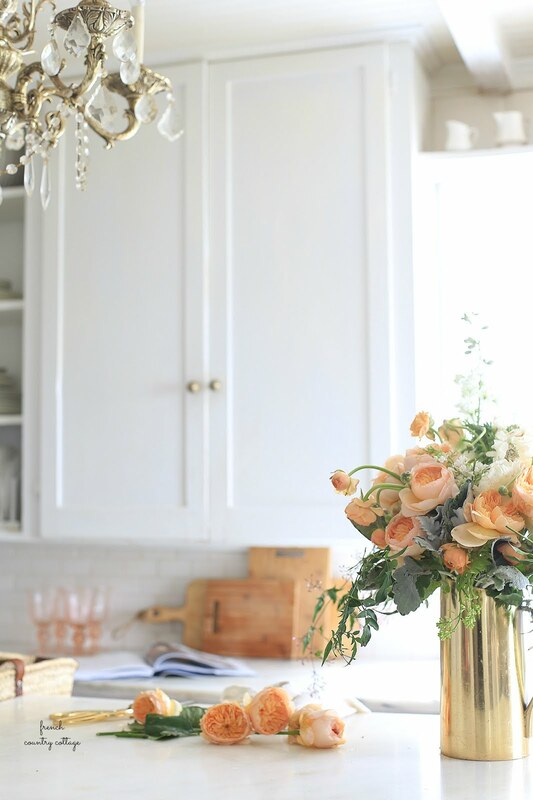 Flowers are always a must in the house- to me flowers add that perfect touch of fairy dust to any room or setting. 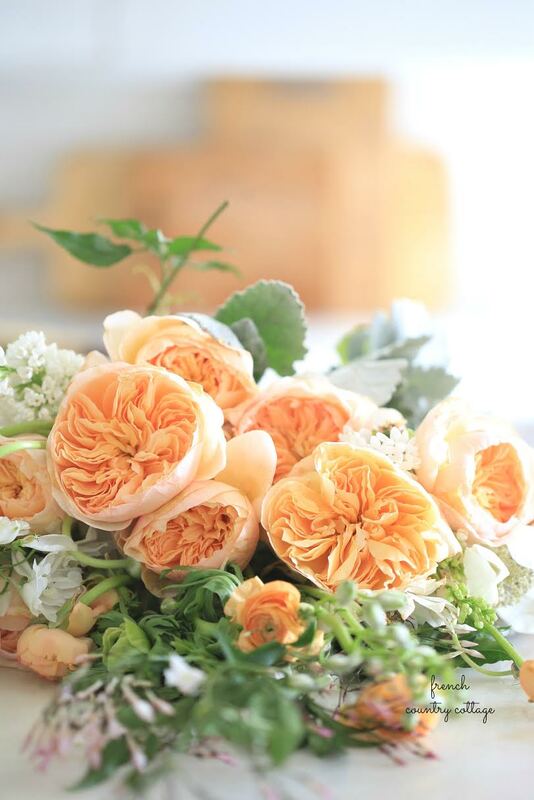 These Juliet garden roses are perfection- and you will see more of them when I share the details on this under $30 arrangement next week. And I also added a bit of fresh greenery to the kitchen as well. Did I mention it has been raining, raining, raining here recently? As in record amounts and flooding. And that means dark and moody skies and dark and moody photography has been in abundance. the clouds landed right on the greens on the stool. to keep it simple on the counter. and a few bulbs growing away were perfect. like more about that china cupboard and the mantel area above the range. and it is sure to be gorgeous. follow along to the rest of the group as well. 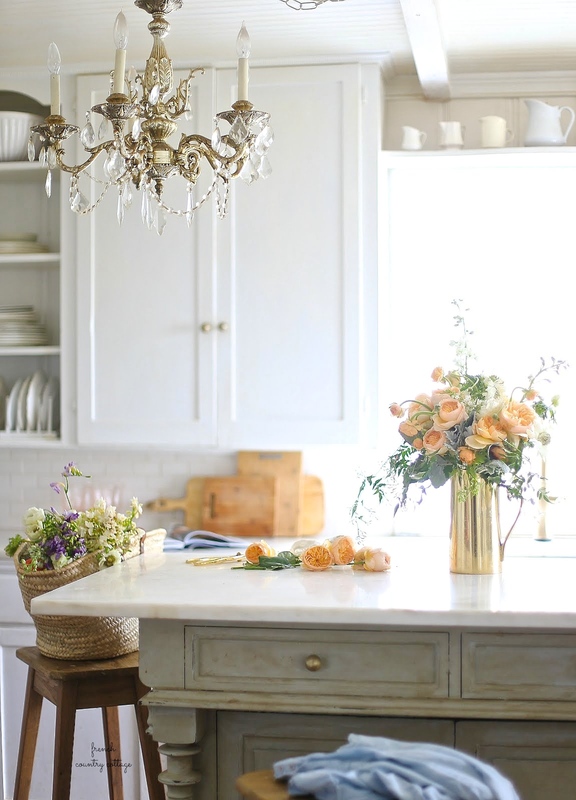 See you tomorrow for all the details on those fabulous faux florals from Balsam Hill. It's all so gorgeous as usual Courtney! So great being on this tour with you. Oh my goodness Courtney this is so gorgeous! 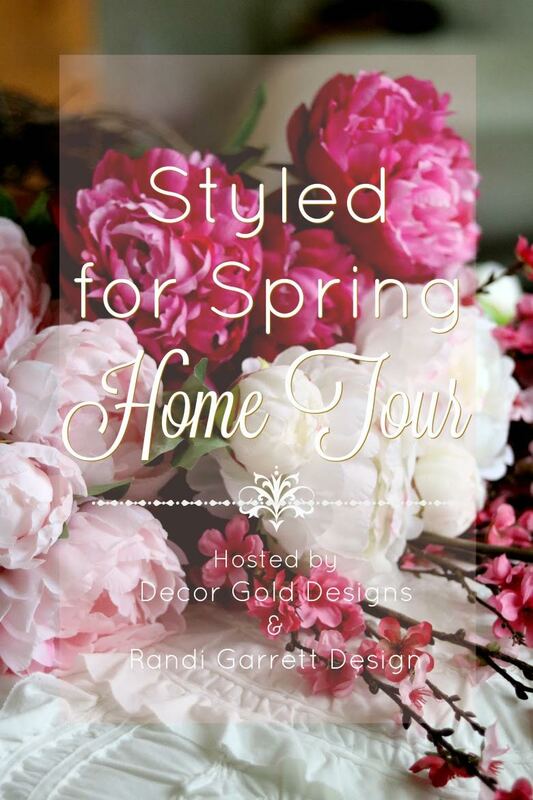 Such a beautiful tour and great tips for Spring - I've never even heard of a Juliette rose but they are the most gorgeous thing I've ever seen! Beautiful as always Courtney! Love that gold pitcher!! !...My hubby and I love "avocado toast" for breakfast too! Those apricot coral blooms are so beautiful. I was itching to do something using that color but was unable to find one single flower available in the entire state that even remotely hit the coral color family. Thankfully, the prices will start to drop just a tad bit. One of my best friends loves the color orange. It's not my favorite color at all but because she loves it so much I've been inspired to try to work in some decor using it. I do wonder when and if we will ever get fresh greenery up here that looks like yours?! It looks like it would dry nicely and be reusable throughout the fall season and maybe even into the holiday. Every thing is so pretty and perfect as always.